TS-SIS welcomed 21 new members. Eric Parker and Lauren Seney (TS Chair) provided a quarterly list of new members. Welcome emails were sent. Names of new members will be listed in the June issue of Technical Services Law Librarian. This was approved by the 2016-2017 Executive Board. 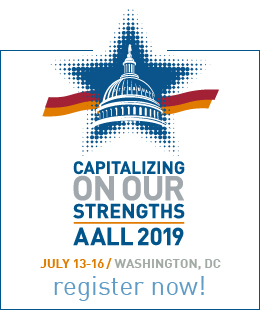 AALL continues the tradition of posters instead of a table at the exhibit hall. Committee members assisted with updating the poster with current TS programs, committee members and events. The committee will host a table during CONELL. Information about TS will be available for new members and interested attendees. Welcomed 19 new members to TS-SIS with email. Committee revised the welcome email letter in August 2015. Hollie White (TS Chair) supplied monthly lists of new members to Sarah Lin (Membership Chair), who provided the names to the committee members. A rotation was established via Google Docs in August to share the monthly notification duties. The Committee made suggestions to Eric Parker (incoming TS Chair) for revising some of the questions and language in the membership survey before it was distributed. In late spring the committee began revising the TS-SIS brochure in advance of conference. In the process, we learned that revision and printing are coordinated by AALL headquarters and the deadline is fall. We compiled our suggested changes and will provide that information to the 2016/17 chair so that s/he can get started immediately after conference on a revised document. This year TS-SIS will have a poster, rather than a table, the committee will not staff the poster but will assist Hollie White in staffing the CONELL table. Sarah Lin shipped the previous conference supplies box to Hollie for evaluation. Sarah worked with Hollie and Ashley Moye to create the poster for the exhibit hall which will promote our SIS. 2012-2013 Members: Carol Morgan Collins, Jennifer Creevy, Suzanne Graham (chair), Yumin Jiang, Cynthia Myers, Jen Richter, Linda Sobey, Tara Summus, and Cindy Spadoni (ex-officio). Welcomed 12 new members to TS-SIS with email. Committee revised the welcome email letter in September 2012. Miriam Childs (TS Chair) and Jennifer Creevy supplied monthly lists of new members and Suzanne Graham (Membership Chair), who sent them our welcome emails. In May 2013, after the transfer of website to AALL servers, the committee again reviewed the letter and updated all the links in the letter. 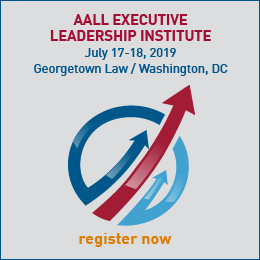 Since January, Jennifer Creevy reviewed the list of new AALL members in the monthly president’s newsletter for prospective new members. Four new AALL members with technical services job responsibilities received an introductory email from Suzanne Graham during the spring 2013. In early March 2013, Suzanne Graham sent out invitations to complete the TS-SIS volunteer survey to everyone who had left a business card at TS table at last year’s annual conference. Committee suggested an additional roundtable in Exhibit Hall to accommodate networking or committee discussions at Annual Meeting. In June 2013, AALL Membership Development Committee launched the new online mentoring program. Suzanne Graham sent out an email encouraging TS-SIS members to participate. Linda Sobey arranged for purchase of pencils and post-its for new members that stop by our table. Tara Summus solicited, coordinated, and provided tips for table volunteers. Tara also revised the TSLL binder and provided a day-at-glance activity sheet for items of TS-related activities. Cindy Spaldoni coordinated silent auction. Suzanne Graham purchased two $25 Amazon gift cards for prizes at table and made a blue TS banner to drape over main table. Membership Committee – Carol Collins, Chair. This annual report covers the period from July 2011-June 2012. Committee members are Kathy Farrell, Beth Given, Virginia Bryant, Caroline Young, and Suzanne Graham-Ex-officio. The 2011 TS-SIS Incoming Executive Board meeting was held on Tuesday, July 26, at 4:15 p.m.
During the 2011 meeting in Philadelphia the activities table was staffed and was a success. There were 26 new members, and welcome letters were sent to each new member. The TS-SIS Activities and Silent Auction tables have been scheduled. Many volunteer opportunities still exist. A $25 gift card drawing is being sponsored at the TS-SIS activities table, and giveaway candies are being provided. The Membership Chair will attend the 2012 CONELL introductory session. The Membership Committee is sponsoring a $25 gift card drawing for CONELL participants. This annual report covers the period from July 2009-June 2010. A new committee was organized for this 2009-2010 term. Membership increased slightly for the 2009-2010, with 19 new members. The activities table during the 2009 meeting in DC was staffed and was a great success. Activities table for 2010 Meeting has been scheduled with 50% of the slots filled so far. There is plenty more space for volunteers. This annual report covers the period from October 2008 to May 2009. Sean Chen was brought on as Committee chair in October 2008 after June Liptay moved on. Membership increased slightly for the 2008-2009 term. Brochures had been redesigned in May 2008. The activities table during the 2008 meeting in Portland was a great success. Starbucks gift cards were raffled off. Welcome packets for new members for the 2009-2010 are being done. Activities table for 2009 Meeting has been scheduled with 50% of the slots filled so far. The Committee has been allocated 100.00 for a giveaway. Our activities have been pretty minimal this year. Below is a report of the activities of the committee in this past year and a couple of issues that need to be addressed in order to clarify things for the future success of this committee. The committee discovered an issue which needs to be addressed for the future. Last year, along with the charge for the committee, a list of new members was included in the initial email to the chair. However, no information was ever provided as to where the list of new members came from. The chair made several attempts with multiple emails to several members of the board, but was unable to determine who would be responsible for reporting to the committee, the list of new members. Therefore, no welcome packet has been sent as of June 20. This can easily be resolved in the future by either more clearly identifying who has that information for future committee chairs, or by setting up a mechanism of automatically relaying that information to the committee (this would probably be preferred). Craig Lelansky revised the volunteer request form and worked closely with Alan Keely and Martin Wisneski to get the revised form posted on the website. He did a good job and got it done quickly and deserves recognition for his work. No committee member volunteered to serve as a representative of TS-SIS at the CONELL marketplace this year. Apparently there were no committee members who were going to be at AALL early enough and without conflict. However, there will be representation for TS-SIS at CONELL, otherwise the chair would have sent a general message to the listserv for volunteers. No TS-SIS brochure revisions were needed this year, so the committee did not make any changes. Each member attending the annual conference should sign up to serve at the TS-SIS activities table in the exhibit hall. The committee created a flyer announcing the Marla J. Schwartz grant now offered by TS-SIS and made that flyer available at the TS-SIS activities table. What role the committee and the chair are to play in the AALL Mentorship Project is unclear to the outgoing chair and should probably be resolved or clarified for the new chair and committee.